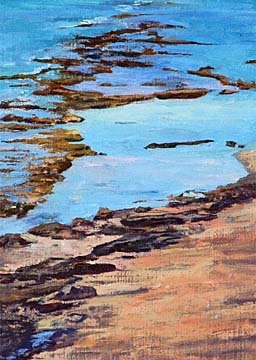 Noreen Naughton's "Approaching Makapuu" is an oil on display at Cedar Street Gallery as part of "The Landscape" exhibit. The show, which also features work by Mary Mitsuda, Sharon Sussman and Debbie Young, runs through March 2. 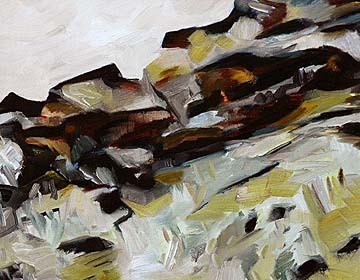 Weekly painting sessions led to "The Landscape," Cedar Street Galleries' current exhibit that runs through March 2. Mary Mitsuda, Noreen Naughton, Sharon Sussman and Debbie Young each offer their renditions of various beaches sites in the show that features some 30 acrylic and oils. The works are showing in the gallery's new second floor space. "All these artists show at my gallery, and they talked about wanting to show together, so we decided to go ahead with it," says Mike Schnack, owner of Cedar Street Galleries. "There's some strong work here, and it's great seeing different interpretations of the same place." The gallery is located at 817 Cedar St. Hours are 10 a.m. to 5:30 p.m. Mondays, Thursdays and Fridays and until 4 p.m. Tuesdays, Wednesdays and Saturdays. Call 589-1580. 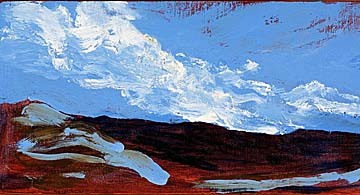 Mitsuda's "Channel 3" is an acrylic work. Sharon Sussman's "Kawela Backbone," above, is an oil.